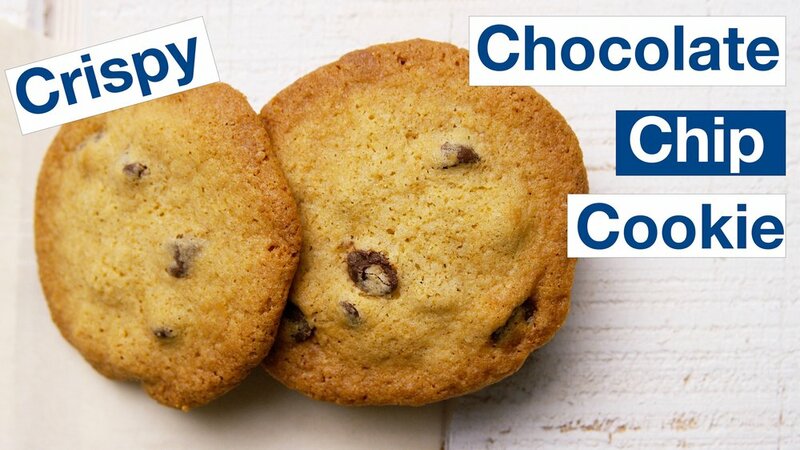 Buttery Crispy Chocolate Chip Cookie Recipe. This is very close to our go-to cookie recipe at our house. It has a super crispy texture, not a lot of chew, and certainly not cakey at all. This is a pretty good cookie recipe for those who are looking for a chocolate chip cookie to satisfy a midnight craving. The recipe is in ‘bakers %’ - which will allow you to scale the recipe up or down to suit your needs. 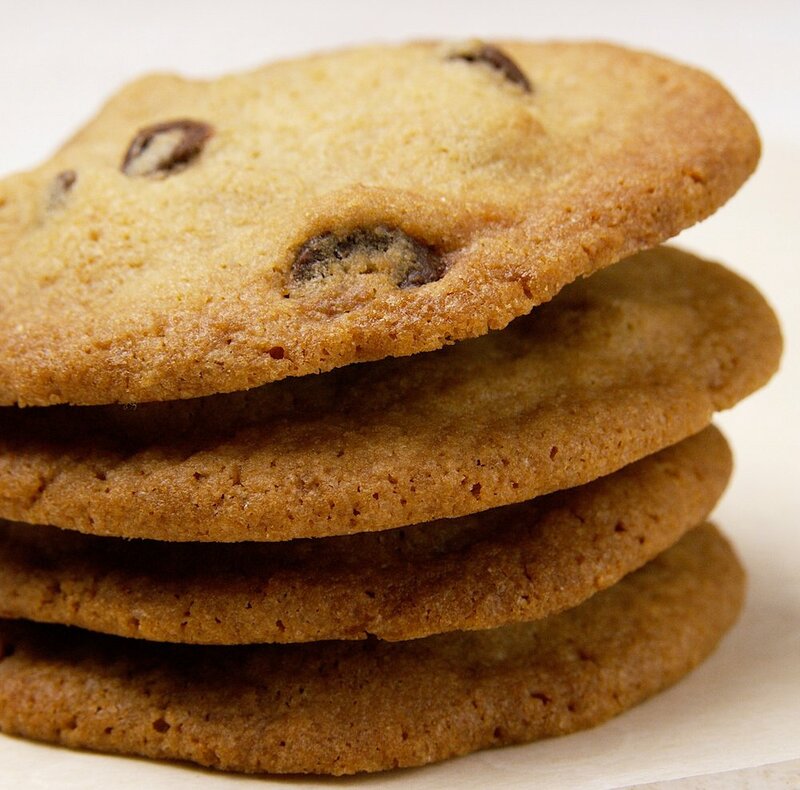 It will also allow you to easily tweak the ingredient amounts to change the cookies texture. You will need a scale… but they are super cheap, and will help improve your baking hugely. This is very close to our go-to cookie recipe at our house. It has a super crispy texture, not a lot of chew, and certainly not cakey at all. This is a pretty good cookie recipe for those who are looking for a chocolate chip cookie to satisfy a midnight craving. The recipe is in ‘bakers %’ - which will allow you to scale the recipe up or down to suit your needs. It will also allow you to easily tweak the ingredient amounts to change the cookies texture. You will need a scale… but they are super cheap, and will help improve your baking hugely.